This was my first laptop. I purchased it in May of 2009. I took very good care of it, and it took care of me. I started college in August of 2009. As a student, I used it all day, everyday, for school and personal use. I used the basic Microsoft office programs, watched movies on it, and streamed video as well. It did amazingly every time! Over the years it slowed down, and the battery wore down. I tried to keep up with the maintenance of it, regularly cleaning up the disk to keep it moving fast. I finally had to retire it after 5 years. It still works, but a few keys stopped working as well, the battery stopped working, and it is pretty slow. I think that 5 years is a pretty darn good lifetime for a PC, since most people I know replace theirs ever 2-3 years. They really don't make them like this anymore. The only con: I had the 17". IT WAS HUGE AND HEAVY! Lugging it around campus was never fun. Battery Life If I put it on the lowest performance settings, it would typically last around 3-4 hours. If I was watching a movie or doing something that required a lot of power, I would never depend solely on the battery. Over time, the battery stopped holding as much of a charge, until in late 2013 it stopped holding a charge completely. Support & Service I never had to use support/service Design I loved that the screen was larger, and I also loved the 10-key. Third time is the charm!! When I purchased this Toshiba Laptop computer it was to replace a "throw-away" HP that I had been using for a few years which had replaced a snail of a laptop that I had purchased from Dell years and years ago. Although I really didn't have any major problems with the two previous laptops, they had both outlived their usefulness and convenience. I didn't want to spend a fortune, so went to that superstore that promises low prices. I did get a pretty good deal on this laptop, it was the last one in stock and new models were coming out. My favorite feature with this laptop is the display. I love the size and clarity that it has. Much better than what I have had in the past. I also love how light this unit is, I barely feel it sitting on my lap (yes, on my lap...I use it almost 100% of the time while sitting on my couch or recliner). It also runs very cool. My last HP would leave my legs with molted looking red marks, even if I had jeans on. This Toshiba does not get warm much less hot! I use it mainly for the wireless internet. I also purchased and updated the trial Microsoft Office Suite. For all I do use it for, it has performed flawlessly. The processor speed does a great job in speeding right through all my jobs. The only fault I can point out is the keyboard. I was having some problems with some keys not functioning. Then I accidentally dropped it a short distance straight to the floor (it actually just slipped from my fingers as i was setting it down) and the keyboard completely popped out from where it was attached. Luckily I had an active extended warranty and they replaced it with a new keyboard. The tech that I filed my claim with said that the design of the keyboard tabs to hold it into place was a very bad design and they had many that popped out. 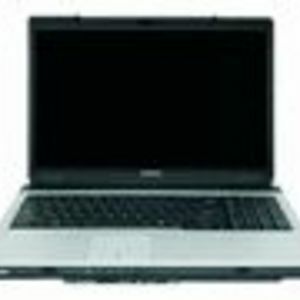 I recommend Toshiba to anyone who is looking for an inexpensive laptop for light to medium usage. Ease of Use Not much to using it...and if there is any question Toshiba and Microsoft have good help on the internet. Battery Life This is another plus for this laptop! My battery is now 2 years old and it still holds a charge for nearly three hours! Support & Service The only time I had to contact Toshiba support they were very nice and supportive to my needs. I really only needed to have them verify to my extended warranty that the Toshiba warranty was only one year, not three as the extended warranty believed. They sent me a warranty certificate showing that it was for one year which was exactly what I needed. Speed/Performance For the light to medium usage I need, this Toshiba is more than enough speed and I have not had any performance issues. Design All is good except for the keyboard as I noted in the opening general review above. Durability Again all is good, except for the keyboard that I had replaced when it started malfunctioning and then I ended up dropping it. I actually use the Toshiba Satellite laptop for mostly work purposes, seeing as it's a company computer, but I am permitted to use it for personal use as long as I use my own WiFi connection and not that of the company server. I enjoy the versatility of the laptop, offering three USB ports DVD-Rom drive, and an internet cable outlet. I have Windows 8 currently downloaded and I am thankful I have such a big screen to work with, since I have corrective lenses, I don't have to strain as I do most the time with other equipment. 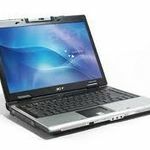 Ease of Use This product is very easy to use and provides tutorials when the device is first turned on, assisting the consumer to familiarize themselves with the laptop's basic functions. Battery Life When unplugged, the device has about the 24 hours of battery life, give or take, depending on how many time you put in in hibernation. I am thankful for the "hibernation" feature because helps to conserve energy and increase durability. Speed/Performance Of course, having a new computer fresh from the factory means it's going to fiction a lit quicker than those that were manufactured/used earlier. I found that even when I uploaded photos or download data from the internet/the server from my work, it didn't seem to affect this product's functioning capabilities. Only time will tell if this product is truly superior to others of its kind when concerning speed/performance. That's the true test. I love my Toshiba laptop for me it gets the job done. I had to upgrade it because I am a geek when it comes to my computers. i installed 16 gigs of ram 60 gig solid state hard drive and replaced the dvd burner and installed a 640 gig sata hard drive. Running windows 7 ultimate this laptop really does it all even installed a Bluetooth chip so now i can listen and watch on the go. this laptop really can do almost anything and if you are considering buying any type of laptop go with the company that built the first laptops and stay with the best and you will always have the best. My laptop is black in color and has a rough design on the outside to prevent scuffing and scratches that normally happen due to ware and tare. I have had this laptop for a while and have been a customer for over 10 years. I will be upgrading soon, but it will make an excellent back up just in case anything ever happens to my new one. 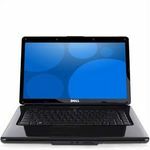 Again this is a must buy if your looking or thinking about buying a laptop. I do not like writing negative reviews, but I have not had a great experience with this Toshiba lap top. I bought four months ago and have had to send it back to be fixed twice already. The built in mouse pad stopped working and then the computer screen went black and nothing would come on the screen. Both were technical issues where the computer needed to be sent out to be repaired. This is very disappointing for a brand new lap top with a great brand name. Most reliable, innovative, technoloy wise lap top on the market. 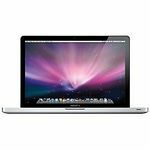 I will only buy a Toshiba laptop and no other brand for my home and my business. These are the most reliable, and innovative lap tops that i have owned. I have owned several different brands and Toshiba has won out every time. Ease of Use Very easy to use, comes with a very easy to read manual, and help is always available through tech support. Battery Life The battery life is excellent compared to most lap tops. i can use my lap top for two day before I have to charge it again. Support & Service Toshiba Tech Support is GREAT. 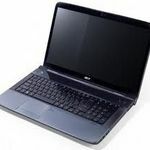 They will go above and beyond to help you solve any problem that you may have with your lap top. They will even walk you through any process that you don't understand. They will even remotely access your computer to assist you if you are not computer savvy to help resolve the problem. Speed/Performance The speed was wonderful. I had no problems, all my applications loaded very quickly. Design The design of Toshiba is awesome. Durability these computers are very durable. 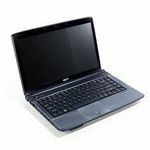 I have dropped my lap top several times, and it still functioned correctly and continued to work. I bought my Toshiba lap top back in April 2005, and all I have done to it was add some extra Gigabytes of memory to it.